Two intoxication manslaughter trials in San Antonio had many commonalities, but wildly different outcomes. 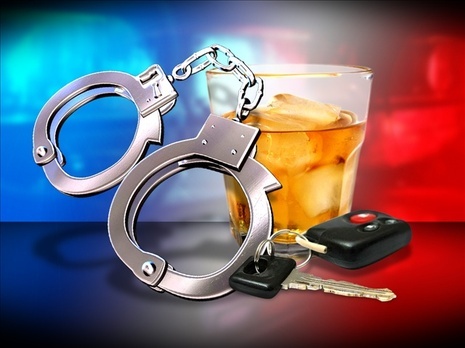 Sandra Briggs had a blood alcohol level of 0.14 and Jenny Ann Ybarra had a blood alcohol level of 0.13. Both accidents occurred on Loop 410, Assistant District Attorney Charles “Chip” Rich was a prosecutor in both trials, and both were sentenced to prison. But, Ybarra was sentenced to 2 years while Briggs was sentenced to 45 years. It seems that, when it comes to punishment, irregularity and inconsistency play a large role during DWI trials in San Antonio. The difference between the two cases – Ybarra’s victim was a young woman and Briggs’ was a San Antonio Police Officer. Briggs, 59, was arrested in October 2010 and she was convicted of a first degree felony on January 20, 2012. She admitted to drinking at Bunratty Pub and stated that she had five drinks in about four hours. On her way home she hit a disabled pickup truck that was stopped near the Military Drive exit of Loop 410. She then ran to into Sergio Antillon, 25, an off duty rookie police officer, who was standing about 10 feet from the truck. He was pinned between Briggs’ car and the guardrail. He died two weeks later when he was taken off life support. She stated that there were no flares on the road and the pickup truck was partially in the right hand lane. Briggs pleaded no contest to intoxication manslaughter and the trial, which was held at the 186th state District Courtroom, was a punishment only jury trial. Criminal Defense Attorney Edward Piker argued that there were more than just the drinks that played a factor in the wreck, including the darkened roadway and the fact that the disabled truck was blocking part of the lane. The Bexar County jury deliberated for about four and a half hours before handing down the punishment. She has to serve at least half her sentence and is eligible for parole at the age of 81. Ybarra, 32, was sentenced to a second degree felony on February 15th, 2012, for the early morning accident in December 2007 that claimed the life of Erica Nicole Smith, 23. She had been out with friends that night and had not been driving. She had planned to stay the night at a friend’s house, but decided to drive home at about 3 AM so she could be there in the morning when her daughter woke up. Ybarra unknowingly drove the wrong way on Loop 410 and had a head-on collision with the car that Smith was riding in. While, on the surface, it seems that this was a very cut and dry case, there were several factors that contributed to the accident. Sabrina Shaner, the driver of the car that Smith was a passenger in, was also intoxicated at the time of the accident. In addition, it was found that the paramedics delayed help to the victim. EMS left Smith untreated for more than two hours because they assumed she was already dead. Smith would die of massive head trauma. The three San Antonio paramedics had their certifications suspended in 2008 because they did not immediately check on Smith.